Ward 9 - Respiratory is looking to recruit the first Trained Nursing Associates within The Shrewsbury and Telford Hospital NHS Trust. We can offer you an excellent support network as we are training our own Nursing Associates of the future. We offer Career Clinics with our Matron to discuss training and development. 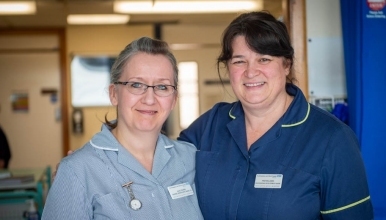 You will be able to join our Preceptorship programme within the Trust and benefit from working with our very own Respiratory Clinical Nurse Educator. This role currently is day shifts only whilst you settle into the new role and environment, we recognise that this role is exciting and new so your development and happiness is of paramount importance to us. We are happy to consider part time or full-time positions. We have a friendly team of staff who are looking forward to welcoming you to our family.